We’re hiring hard working individuals looking for both part-time and full-time positions. Click the button below to fill out an application. New lakeshore location now open! We are thrilled to announce we’ve opened a new office in Holland. Contact us for more information or employment opportunities. 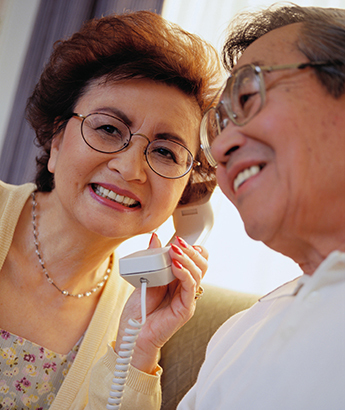 Memorable, distinct and unique home care — person-centered care is what we provide for each of our clients. We wholeheartedly believe that living in the comfort of one’s own home can make all the difference in improving the quality of life of our aging community. We’re hiring today for both our Grand Rapids and Holland locations. Submit your application today. We can assist with the burdens of living at home such as housekeeping, meal preparation, grocery shopping, laundry and linen changes, and miscellaneous house and yard chores. 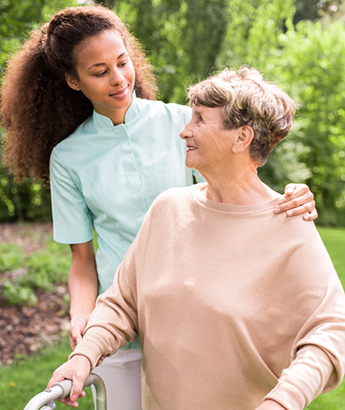 Our caregivers can help keep your loved one safe in the privacy of their own home by providing support with personal care tasks such as bathing, grooming, and personal hygiene. We can always provide round-the-clock care for your loved one. Put your concerns to rest by having a caregiver available through the night to help your loved one if needed. Helping your loved one with transportation can be difficult when you work, have children, or have other obligations that make coordinating schedules complicated. Our caregivers can provide peace of mind by helping your loved one safely make it to appointments, run errands, and bring them to other community and social events. Our caregivers can provide support during the final stages of life. Having extra help during this difficult time can allow you to spend quality family time and focus on being with your loved one during hospice care. Our Registered Nurses can help with a variety of in-home medical assistance such as evaluations and assessments, medication setup and reminders, blood pressure checks, blood sugar level monitoring, and checking vitals in the comfort of home. Elders’ Helpers offers an affordable suite of home safety products, along with our service, to provide the safety and security needed for your loved one whether at home, running errands, or traveling long distance. Safety is our top priority, which is why we have caregivers on staff who are trained in special procedures for helping with range of motion, transfers from wheelchairs and/or beds, and assistance with mobility. Taking care of a loved one can be fulfilling but stressful at the same time. Our caregivers can help give you the support you need to take care of your loved one by providing temporary respite care when you need a break. It's truly a great service. My helper, Kim, is kind, considerate and very helpful. Without her help I doubt I could stay in my home." The service means so much to me. I always am refreshed with each visit! To all of your people I say THANK YOU VERY MUCH!" My caregiver cheers me up every time she comes to my house. I tell all my friends to use Elders' Helpers. My husband had them first until he passed away. They are a true blessing in my life." Our reliable staff is here for you whenever and however you need support. Client coordinators are available at all times of the day to better serve our clients. Speak to a team member 24 hours a day on both weekdays and weekends. In many cases, we are even able to staff a case the same day for immediate support. We understand support needs can change over time, which is why we do not require long-term contracts for home care at Elders’ Helpers. Use our services for as long or short as you feel they are needed. Remain in control of your home care and support by actively participating in your personalized care plan. We have a team of certified Dementia Care caregivers available for our clients in need of specialized home care services. Our most experienced caregivers are fully trained and certified in the CARES Dementia Care program developed by the Alzheimer’s Association and Health Care Interactive. Some agencies charge different rates for weekend or nightly hours. Our rates are simple: $19.00 an hour for a visit of 3 hours or longer. For a shorter shift, we charge just $22.00 an hour for a 1 or 2 hour home visit . Nurse visits are $40.00 an hour. Discounted rates are available for cases that have 12 consecutive hours or more. For all major holidays we charge time and a half. We do have you sign a company pay agreement, which outlines our rates and your responsibility with regard to payment. This form is fully explained during our home assessment. 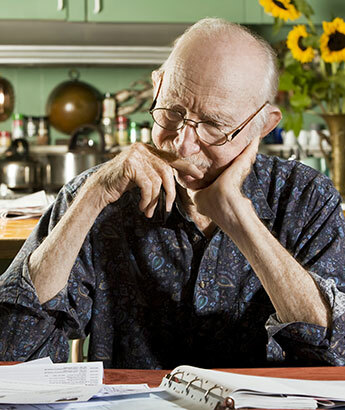 Elders’ Helpers provides monthly billing statements and will only bill you for services rendered. How do you schedule service hours? During our home assessment the client advocate will discuss scheduling needs. After your initial meeting you will be assigned a client coordinator who will work directly with the family and client to coordinate caregivers and schedule hours. You set the scheduled times and days of visits — whatever works best for you. What are your privacy policies? Elders’ Helpers follows strict Health Information Portability and Accountability Act (HIPAA) guidelines, much like your doctor’s office. Administrative staff and caregivers will never disclose any information about clients to any unauthorized persons. This is explained in more detail during the home assessment. What if I don't like my caregiver? While staffing a case, we always try to schedule caregivers with clients who we feel will work well together. However, this may not always be the case. If you ever have an issue with your caregiver just give us a call at 616-454-8305 and ask for your client coordinator. With over 200 caregivers, Elders’ Helpers can offer unique and wonderful personalities and many skill levels. Let us find the right match for you! Does Elders’ Helpers accept Medicare/Medicaid, insurance, or VA clients? Elders’ Helpers is not a Medicare certified agency; therefore, Elders’ Helpers cannot accept Medicare. Elders’ Helpers can only accept Medicaid Waiver Program clients. Elders’ Helpers has been a subcontractor for the Medicaid Waiver Program with the State of Michigan since 2000. Elders’ Helpers does work with private insurance companies; however, acceptance depends on the specific insurance company’s requirements. Check with your agent to make sure. Elders’ Helpers accepts referrals for VA clients who require personal care, homemaking, or chore services. If your VA case manager is looking for an agency to provide service, let her or him know you are interested in working with Elders’ Helpers. Dementia affects millions of people worldwide on a daily basis. It not only disrupts the life of the individuals afflicted with this terrible disease, but also impacts their families and loved ones, who are often left with a sense of helplessness. Over the years we’ve learned a few helpful tips we’d like to share for those families affected by dementia. Maintaining a balanced diet is important throughout every stage of life, but healthy nutrition is especially important as we age. Healthy eating habits may help manage or even prevent chronic health conditions such as diabetes and heart disease. As we get older, dietary requirements and eating habits may change slightly. However, it is important to continue to choose a balanced diet. The health tips below may help maintain a healthy diet while aging. If you’re tasked with taking care of a family member or have a career in the healthcare industry your own safety should be a top priority as well. To prevent injuries while caregiving it is important to take the proper precautions to prevent injuries to your musculoskeletal system. Elders’ Helpers recently held a workshop for our caregivers to learn a few occupational ergonomics tips from an expert in the field. Here are 6 ergonomics tips you may be able to apply at home while caring for your loved ones. Copyright © 2018 Elders' Helpers. All Rights Reserved.